It may be undeniably cold outside, but that certainly does not mean our only winter activity options are Netflix-binge days. Don&apos;t get me wrong, I love those days too, but there is more to winter life beyond this. 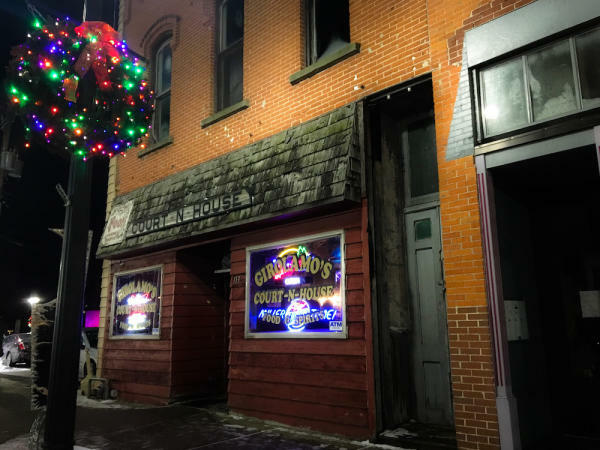 We&apos;ve created a downtown Eau Claire winter itinerary for you to try out. You&apos;ll have plenty of fun, take in the pretty sights and eat delicious food that will help warm you up along the way. Grab your favorite people and fight your temptation to hibernate. Rise and shine. I assure you the hardest part of this day will be dragging yourself out from under the blankets. But the best is yet to come – starting out the day with a fantastic brunch experience. Offering a delicious and unique brunch palette, The Lakely is your first stop. 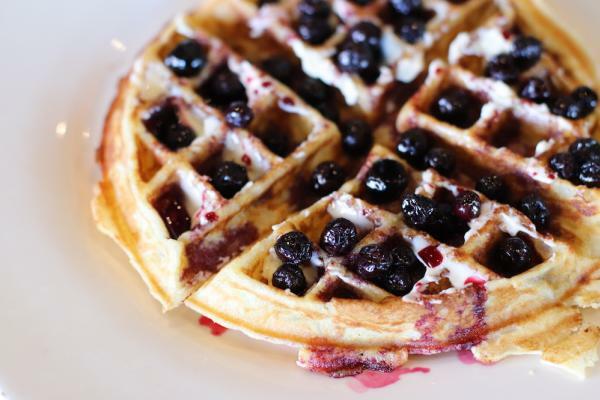 On weekends, brunch is from 7 a.m. – 1 p.m. with live music beginning at 10 a.m. From omelets to waffles to mimosas, you and your taste buds will be happy with this decision. EC Insider Tip: Try the ‘Norwegian Hangover&apos; dish! I can&apos;t recommend this enough. Next, check out many works of art dispersed around downtown. Brought in from artists around the world, a variety of unique sculptures are out for your enjoyment. 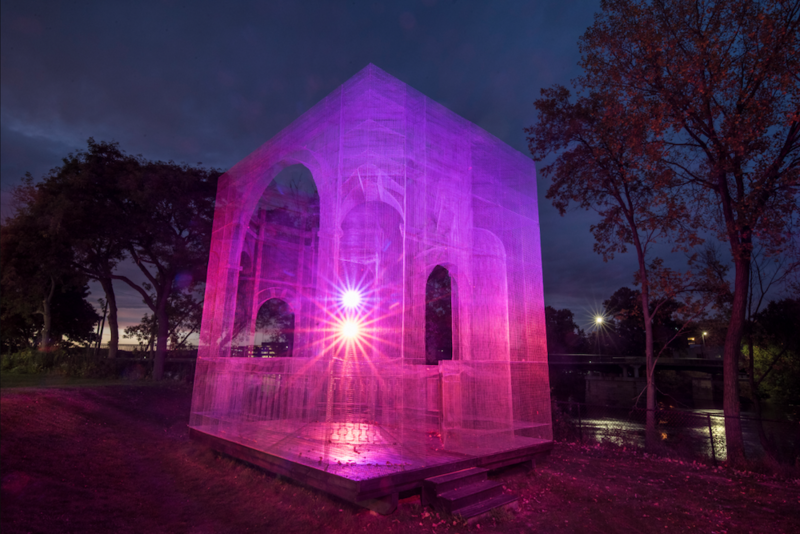 If the temperatures are bearable, this is best done by foot to truly take in the sculptures. But if not, viewing them from your warm car will do the trick too. 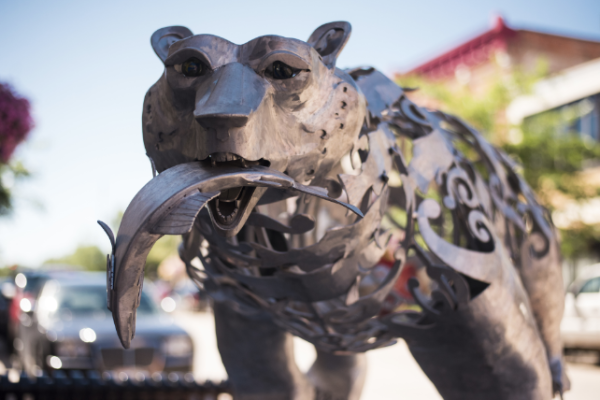 The sculptures are concentrated downtown along Barstow Street, Water Street and on the Mayo Health Systems Campus. Soup, sandwiches, coffee and a fireplace – stop by ECDC by 3 p.m. for a warm lunch and coffee fill up. 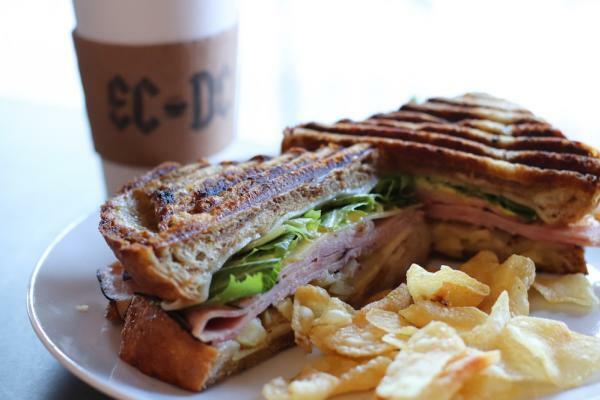 ECDC is a cozy place with quick service that offers unique spins on classic sandwiches, artisan coffee specialties and great views of the downtown street scene. This is the perfect, cozy place for your winter afternoon. 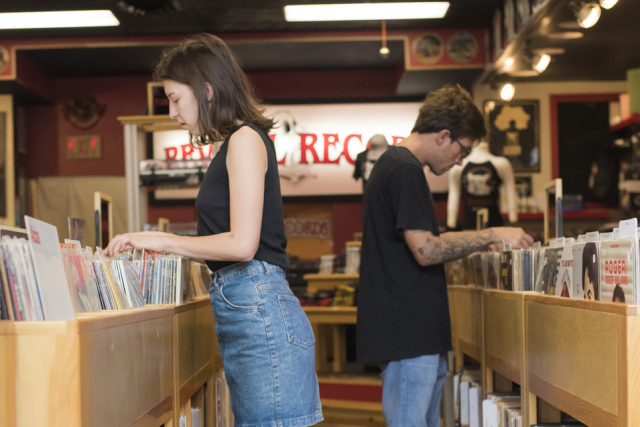 Downtown is filled with many opportunities to peruse local shops and galleries. Offering places with antiques, local gifts, art supplies, apparel, floral, music and art galleries, you will have plenty to browse through. Don&apos;t forget about the shops in historic Banbury Place. Also, be sure to check out their various workshops where you create and take home your own art creation. 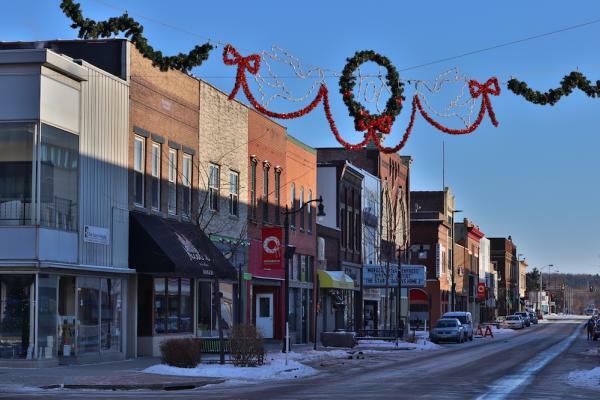 Click here for more Downtown Eau Claire and Water Street Shopping inspiration. 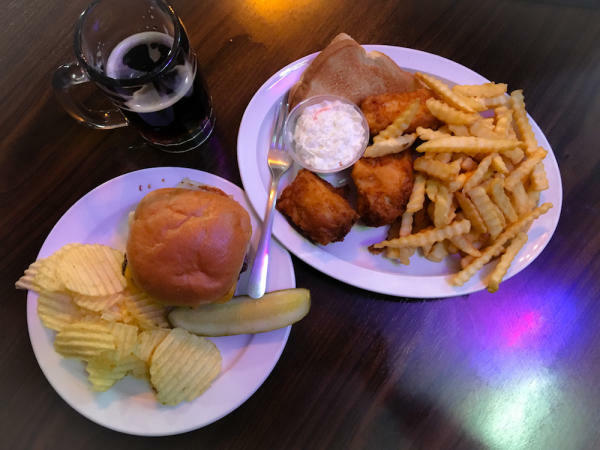 A local, cozy gem to grab drinks, a burger or a Friday night fish fry, the Court ‘n House is an excellent dinner stop. You&apos;ll soon discover why this place is so popular among locals and packed most nights. The folks are friendly and the food is reasonably priced and delicious. Oh, and if that&apos;s not enough to intrigue you, let me add waffle fries, cheese curds and amazing root beer on tap to the picture. So good. All the pretty colors. Who isn&apos;t drawn to lit up wonders? 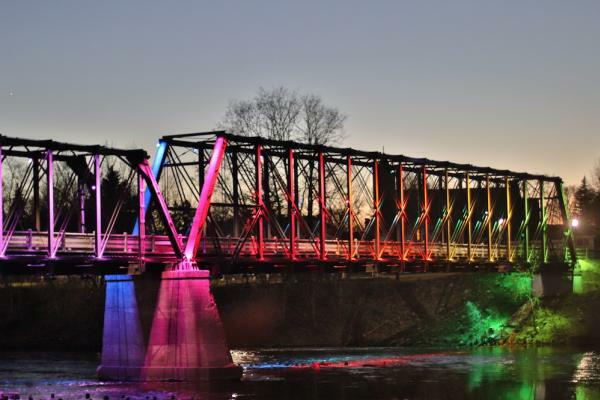 Lucky for us, Eau Claire has a couple of lighted beauties overlooking the Chippewa River for us to enjoy. Check out both the Baroque Sculpture on First and W Grand Avenue and the changing light display on the Phoenix Park Bridge. Your eyes will be drawn to stare at these wonders. As you can gather from all of this, winter doesn&apos;t have to be boring, especially not in Eau Claire. Follow this suggested downtown itinerary to take you out of your hibernation for a wonderful night. You won&apos;t regret it, and your couch and Netflix will still be waiting for you when you get back home. While you&apos;re out exploring Eau Claire, make sure to snap some photos and share them with us using #CaptureEC.